As the premier veterinary clinic serving Greenfield Oak Creek and Greater Milwaukee area, Greenfield Veterinary Clinic brings 38 years of expert experience caring for small animals. 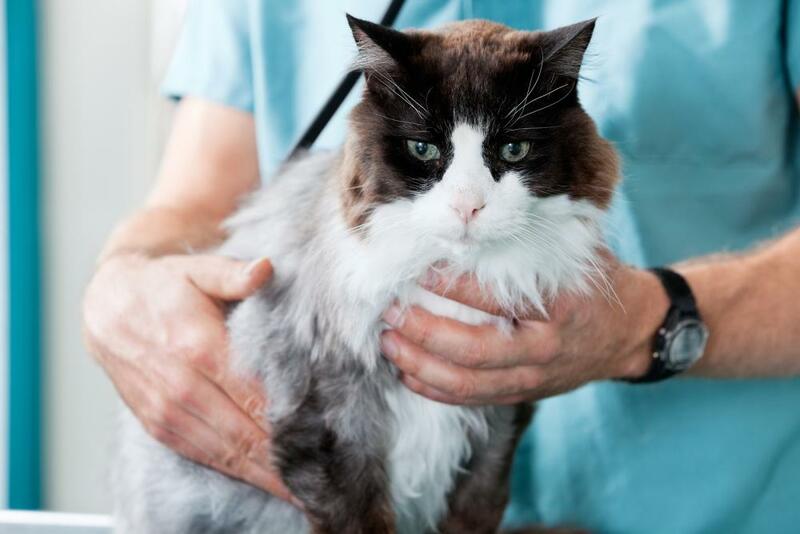 Our practice offers all the veterinary services you need for quick diagnosis and treatment of your pet. We have our own in-house facilities to perform lab work, laser surgery, ultrasound, endoscopy, x-ray, dental services and more. We are firm believers in the annual pet exam, and we treat each animal as an individual with our specialty being to sooth even the most stressful pets. James P. Work, DVM: Dr. Work is the owner of Greenfield Veterinary Clinic and was a high honors graduate from the University of Illinois, School of Veterinary Medicine. He believes that you and your pet are part of the practice family and strives to maintain a stress-free environment for all his patients. And of course, his home is chock-full of pets. Christian Taylor, DVM: Dr. Taylor is a graduate of Iowa State University’s School of Medicine and has been working at our clinic since 2003. He especially enjoys working with families to have happy and healthy pets through all phases of the pet’s life. Sarah Sylla, DVM: Dr. Sylla joined our practice in June, 2015 and is originally from near Chicago. She graduated from the University of Minnesota with a BS degree and then went on to study veterinary medicine at the University of Illinois Veterinary School. Dr. Sylla’s home is a menagerie filled with 2 dogs, a cat and 2 guinea pigs. We have installed a computerized appointment book which makes it quick and easy for scheduling routine appointments. We do our best to accommodate your needs and schedule. If you have an emergency come to the clinic without delay. In order to provide immediate care for your pet, we have a veterinarian and vet tech on duty 5 ½ days per week. These professionals are trained experts at handling urgent situations and saving pets’ lives. Sometimes the situation may be urgent, but not life-threatening. In this case, we will ‘squeeze’ you in between our regularly scheduled appointments. Our policy is payment when services are rendered. We accept all the standard credit cards. Checks are not accepted. However, when emergency strikes, we know the bill can quickly surmount your budget so we have a special arrangement with a company called CareCredit that offers low monthly payments, no interest for 6 months, fast approval and no annual fees. In addition, we have a number of special offers as well as discounted services to senior citizens and local area rescue groups. For more information about our veterinary clinic, give us a call today at 414-282-5230!